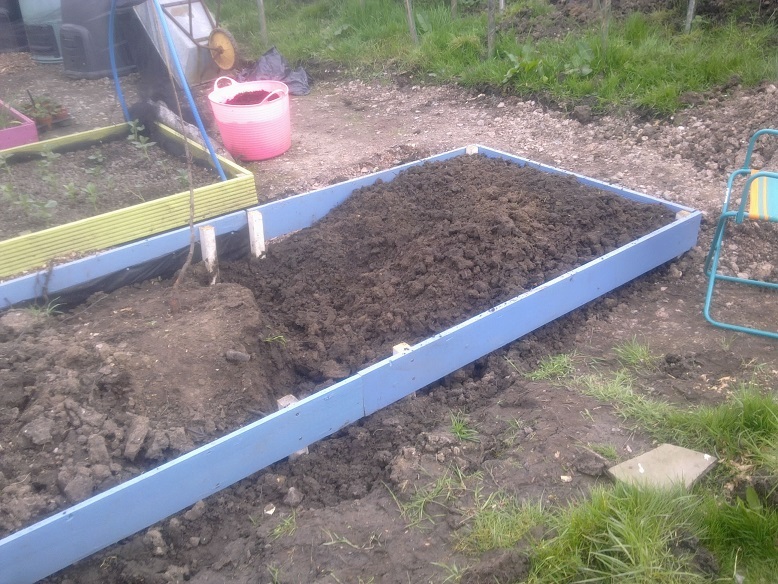 Quickish session today – I’ve started on the blue bed, which has a fair few tree roots waving out of it at me. I dig to a spit/spit and a half down and sift it. 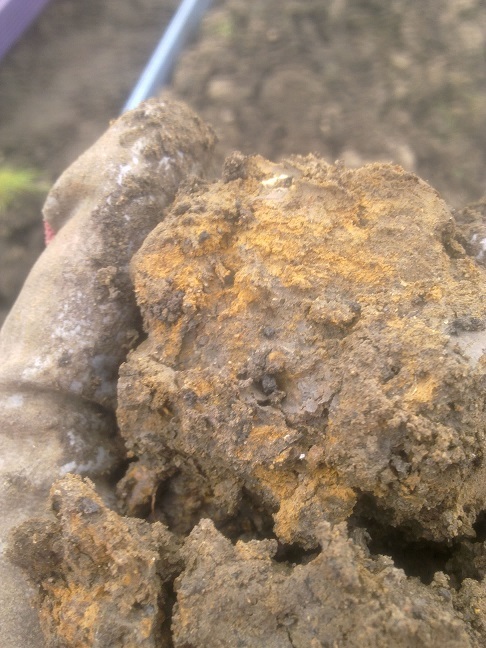 The soil is bright orange not so far down, and I am trying to break it up and mix it with the better topsoil. It’s also full of couch roots, creeping buttercup, brambles and blackthorn, but should get a lot easier/clearer nearer the top of the bed as part of that was a bed last year. A spud bed too, but this year messy rotation can’t be helped. Topped up the woodchip paths when I was bored of digging, so they look quite snazzy. After reading someone’s garlic had rust, I’ve checked mine, and yes, it’s all rusty. I took off the worst leaves and hopefully that’s enough for now. There are a lot of overwintered leeks that are covered in it on the site, so perhaps my garlic was in the wrong place at the wrong (windy) time and also, it will probably come back. 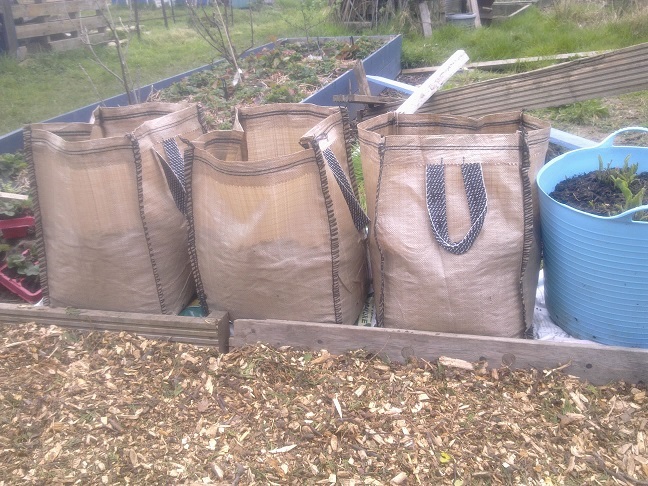 While waiting for the potato bed to be dug, I’ve put a few more in bags. L-R Lady Christl, Desiree and oca: 3 spuds in each and 4 tiny tubers in the last. Looks very neat!